In order to make the refugees who were moving into their area feel welcome, Pittsburgh couple Richard Gartner and Kristin Garbarino signed up to mentor a mother and three children from Rwanda. They took them to an outdoor arts festival, where they indulged in the most traditional American fair food: funnel cakes. It’s the type of interaction Sloane Davidson, a former refugee resettlement worker, had in mind when she formed Hello Neighbor. Her Pittsburgh-based network matches refugees with “mentor” families to help them become better accustomed to life in the U.S.
Nine refugee resettlement agencies around the U.S. set up arrival families with a place to live, furniture and basic household items. They help find them jobs and English-language classes, and provide about three months of federal funding for rent and food. Gartner, Garbarino and the other mentor families attended a day-long training session where they learned about the global plight of refugees and how to relate to those moving to the U.S. 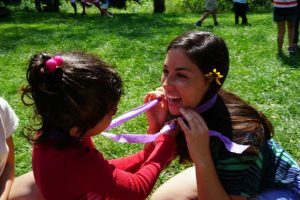 They heard from an Iranian refugee, who now attends an American law school, about her experiences, and from a representative of the Greater Pittsburgh Literacy Council about its education resources. The mentees also underwent a training day about what they could expect from the program, and only two indicated that they had an American friend outside of their work or other daily interactions. “I didn’t realize how isolated the refugee communities were in Pittsburgh,” said Garbarino. 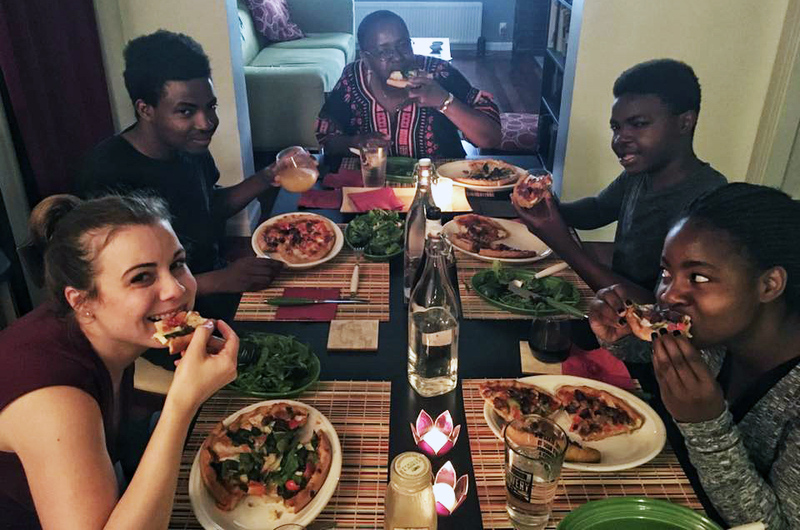 Davidson’s four-month pilot program paired 25 refugee families with 25 American families. The refugees may need assistance with anything from getting a driver’s license to enrolling their children in school. But they also get a chance to attend music shows and museum exhibits, and just enjoy what the community has to offer through weekly family-oriented activities. One of their first get-togethers, along with the arts festival, was helping the family move from their first apartment into a larger place. “It was really awesome to see them make this next step into feeling that America is their home,” said Garbarino. After each activity, the mentor family fills out a form for Davidson so she can keep track of some basic statistics. The refugee families in this first match-up come from the Democratic Republic of Congo, Iraq, Afghanistan, Syria, Rwanda and Myanmar. Many have lived in multigenerational families that they had to leave behind, and Davidson said she hopes the community rallying around them will replicate that support. READ MORE: How are refugees vetted today? The local community seems to have embraced the idea of the mentorship program as well. Davidson got four times as many applicants to be mentor families than slots available in the pilot program. The first class of mentors graduates in October, and that’s when the next class with all new participants will begin. After they graduate, the families can continue to meet up if they want, Davidson noted. View more profiles of social entrepreneurs in our Agents for Change series. 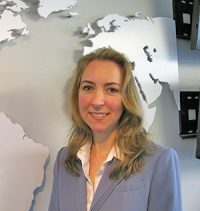 Larisa Epatko produced multimedia web features and broadcast reports with a focus on foreign affairs for the PBS NewsHour. She has reported in places such as Jordan, Pakistan, Iraq, Haiti, Sudan, Western Sahara, Guantanamo Bay, China, Vietnam, South Korea, Turkey, Germany and Ireland.